Controversy around Madison Police’s involvement in the annual Pride Parade highlights divisions within the LGBTQ community. Is there a positive way forward? 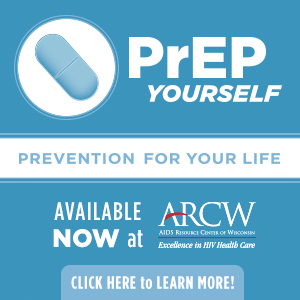 MADISON, WIS – OutReach LGBT Community Center today released an official statement announcing that they will be withdrawing the applications from Madison Police Department’s LGBTQ employee group, MPD Pride, as well as those of Dane County Sheriff David Mahoney and the UW Police Department ERG. The move comes after the board met in emergency sessions every night this week in response to outcry and protest from within the LGBTQ community over the presence of police in the parade, and OutReach’s move to delete comments on its Facebook event criticizing the initial decision. It goes on to acknowledge that armed police will still act as security for the parade, per City of Madison permit requirements. They are also inviting off-duty, unarmed, plainclothes MPD and UWPD officers, Sheriff Mahoney, and their families to attend or even march in the parade with other groups. A previously scheduled listening session for the community with MPD Pride is still planned for Monday, August 13. The event will be moderated by a city staff member from the Civil Rights and HR division, and is scheduled for 6 p.m. in Room 301 at Madison Central Library (201 W. Mifflin St). This comes after controversy and conversations erupted around the issue as Pride in Madison approaches once again. 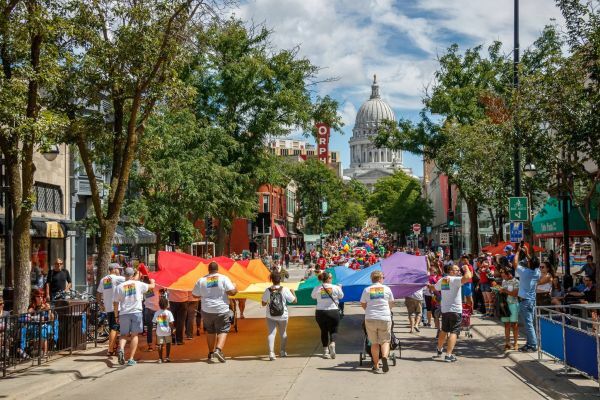 The OutReach Pride Parade is scheduled for August 19 on State Street and the Capitol. Members of the LGBTQ community, particularly queer and trans people of color, have and continue to express that police at Pride create an unsafe and stressful environment. White allies argue that this drives away the members of our community who should be centered and most supported. Discussions and disputes about police participation in LGBTQ Pride events are not new. The issue has come up time and again in cities large and small across the United States and Canada, with Toronto Pride making headlines this year for barring its local police from participating in the parade while in uniform or on duty. In Madison, questions first came to the forefront after 2017 Pride saw a mandate by the city to increase the number of police on security detail. This came in reaction to events in Charlottesville, where white nationalists rallied and shot into a crowd of counter-demonstrators. OutReach, the official organizers of the parade since 2014, also announced an active shooter training for volunteers. The move galvanized many within the community already opposed to police at Pride, especially for queer and transgender people of color (QTPOC), who face disproportionately high rates of targeting and arrest at the hands of law enforcement, according to a study by the Movement Advacement Project (among others). The WTHC, a group of independent, grassroots activists based in Madison, brought their concerns to OutReach (which was at the time acting as the coalition’s fiscal sponsor). Botsford had noted that they and others argued that the increased police presence would make people feel less safe, and that cops should be removed from the parade entirely. One such session was held shortly after the parade last year. Organized by Shawna Lutzow, who was volunteering at the center, and her fiance Johanna Heineman-Pieper, the event was part of a series called “Conversation about Racism within Queer Communities.” Facilitated by Kiah Price, who identifies as a multiracial Black genderqueer lesbian and is a member of the International Socialist Organization, the presentation focused specifically on the history of LGBTQ Pride and relations between police and queer people, especially QTPOC. Lutzow noted that the session was attended by OutReach Executive Director Steve Starkey and a few members of the board. She expressed frustration at what she felt was a lack of change in approach after the event. OutReach did make one change before today’s reversal, however. They asked MPD Pride, the contingent of LGBTQ officers and allies that has marched in every parade since 2014, not appear in uniform or to bring along any squad cars or other official police vehicles. The group agreed. Officer Brian Chaney Austin, a member of MPD Pride, confirmed the change and that the group had been following closely along with recent calls to have them removed from the event. “Yes, we have submitted an application to march, but we’re listening to what’s going on. We’ll be considering the level of participation,” he said. Over the course of July 31 and August 1, at least three queer people of color left comments on the official OutReach Pride Parade Facebook event page questioning the continued inclusion of police, and, in one case, calling OutReach’s decision racist. The comments were deleted at some point in the early morning hours of August 1, and commenting turned off entirely for the event. That day, Kaci Sullivan, the organizer behind the TransLiberation Art Coalition, took to Facebook to call out what they perceived to be the silencing of QTPOC voices in the discussion. One of the people whose comments were deleted was TK Morton, a trans person of color involved in the TLAC who recently moved from Madison to Kansas. The two shared their frustrations and called out Starkey and others at OutReach about what had happened. Those comments snowballed into a series of community discussions and arguments in various corners of social media. Lutzow and Heineman-Pieper started what’s being called a Community Pride event in protest and began urging members of the community to boycott the official parade. Since then, the WTHC has come on board to help organize a QTPOC-centered celebration on Sunday, August 19 at 6 p.m. at the Goodman Community Center. The protest, which organizers said would only go ahead if police are allowed to march in the parade, was to be held at the top of State Street from approximately 12 to 4 p.m. Letters have been sent by protesters to every organization and business listed as an official sponsor of the OutReach Pride parade, asking that they drop their support. 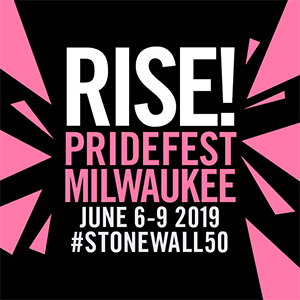 So far, according to Botsford, groups that have withdrawn from Pride are the WTHC, Orgullo Latinx LGBT+ of Dane County, Diverse & Resilient (which had already opted not to participate due to scheduling constraints), and Planned Parenthood Advocates of Wisconsin. One of the accusations leveled at OutReach involved their mention of the MPD as a sponsor of the parade. Protesters have argued that OutReach was “prioritizing” fiscal support from police over the needs of queer and trans people of color. MPD Pride is a group made up predominantly of LGBTQ police officers and some straight allies. They participate while technically on duty, which is why, even in plainclothes, they will still carry badges and sidearms. MPD officers may earn MPPOA (straight time pay) by participation in community events like the Pride parade, according to their official union contract. “We know we have a lot of work to do,” Chaney Austin conceded. “People might not be familiar with our group, who we are, and what our mission is. What we’ve tried to relay, and what we need to do a better job of in the future, is that we are LGBTQ people. One of our core goals is to provide a clear line of communication between the community and the police department but also to work on issues that exist, because we live those issues. The issue has already highlighted stark divisions, as well as conflicted feelings, within the LGBTQ community in Madison. Many (predominantly white) owners of local LGBTQ businesses have posted to social media with their decisions to stay in the parade, some with mixed feelings, otherwise will full-throated support. With OutReach’s reversal and decision to withdraw the applications of law enforcement groups to participate directly in the parade, further comment, contreovery, and protest is still likely. There are as many differing opinions around this issue as there are people in the community. On one end, the argument goes that police should have no role whatsoever–even for security–at a Pride event. Perhaps even holding a parade is too mainstream, and the community ought to revert back to its radical protest roots. Many point to the origins of Pride in the U.S. as a series of anti-police riots, including Stonewall. There are ongoing issues with police at Pride events in various parts of the country, too, as well as institutionalized homophobia and racism within law enforcement as a whole. On the other side, LGBTQ people who are themselves police (and their allies) wish to be included in an event celebrating all aspects of their identities. The argument in favor also includes the idea that it’s a sign of progress to have any police attend Pride in a friendly way (and to have openly LGBTQ officers no less), given the history of animosity between the groups. Others still can understand the need for police security but would rather they didn’t march in the parade, or if they do, out of uniform. Of course, it’s important to recognize that the modern LGBTQ Pride movement didn’t begin only in the U.S., but rather in different ways in different parts of the world. The current movement is as diverse as its people and locales. Issues of corporatization and capitalism also play a role in the conversation and controversy. In short, it’s clear that no clear accord is likely to be reached any time soon. I am not a part of the Madison degenderates I am a part of the Trans Liberation art coalition. Our apologies! We’ve edited the article to reflect this correctly. Thanks! Is there a record of what the comments that were deleted said? I have been unable to located screen shots of the original comments. This is so disappointing. Many police officers are LGB, particularly female officers. Most police officers are decent people. There are better ways to address police who abuse their power than to stereotype police in general as bad and remove them from the parade. Furthermore, the idea of removing the police presence even for security is ludicrous. That definitely makes me feel unsafe and very unlikely to attend now. There are already enough right wing idiots with guns who’d love to make a name for themselves by targeting the community. Just to clarify, if we did a poor job of it in this piece: On-duty Madison police will still be present as security at the parade, per city permit requirements. I believe that OutReach’s mission is to be inclusive. That means including ALL LGBTQ people, including police officers who are LGBTQA and support LGBTQ rights. In light of their mission, this decision is disappointing. Negative stereotyping is the what sustains racism and any type of xenophobia. Stereotyping a whole police department and in fact a sheriff, based of actions of individual police officers elsewhere in the country, is not fair. This is the very same as blaming a whole community for the actions of a few (e.g. all immigrants are blamed for the actions the of MS 13 gang). One cannot fight for equality by employing the same negative scape-goating strategies of right wing neo-Nazis. Everyone and anyone who SUPPORTS LGBTQ rights should be WELCOME in the parade, in or out of uniform. Thank you so much for this thorough piece of balanced journalism. I have always been proud to see the MPD and MFD marching in the parade. Since they are not, I will boycott the event. I would feel more uncomfortable, knowing they are not there to help, if needed, than to have them proudly marching with their LGBT+ brothers and sisters. And yet religious organizations are welcome. Excellent overview of a complicated situation. OutReach did the right thing by listening to the marginalized voices that didn’t feel right with armed, uniformed police marching in Pride. Given the origins of the event and current state of affairs, I think it’s understandable.